Bedrooms are one of the best rooms in the house when it comes to interior design and style. What’s more, they’re the main room for you to properly personalize and make your own. Today, I want to teach you how to create a certain mood in your bedroom. The mood we’re going for is romantic - seeing as a lot of romantic things can happen here! Follow the three steps listed below, and you will soon turn your bedroom into the most romantic place you’ve ever been. Is there anything romantic about a pitch black room or one that’s completely lit and bright? No, there’s nothing special about this lighting, and it either makes you feel tired or wide awake. Instead, you need to experiment with different things to come up with the perfect mood lighting. As it says on www.topbulb.com, you can make or break a mood depending on the lighting. Here, you really want to go with soft lighting - create a nice warm glow in your room. There should be enough light to see things close in front of you, but also enough darkness to create a dimly lit look. This sets the whole tone for the room and really helps everyone get in the mood. 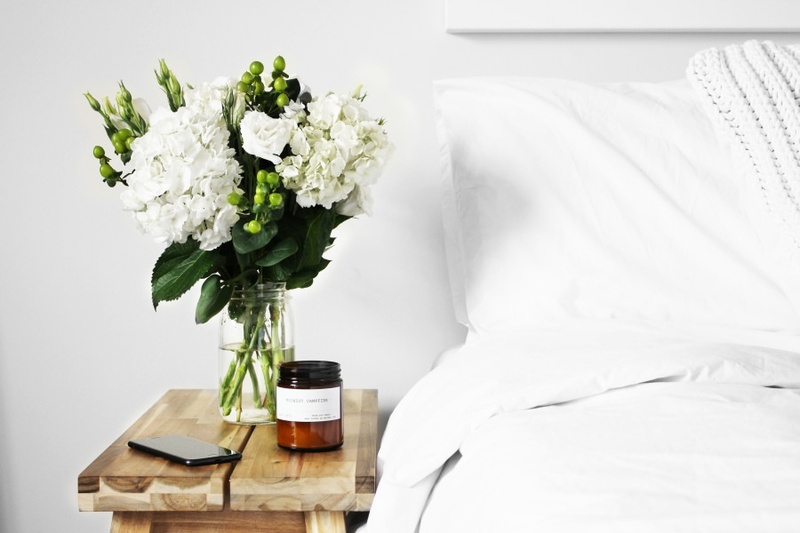 The way your bedroom smells will go a long way to setting the right mood. Think about it logically, there’s nothing romantic about a bedroom that smells stale or has the smell of food in it. As such, you need to ensure your room smells nice and appealing. It should smell so good that you take a deep inhale whenever you walk into it and can’t stop thinking about the smell. As you can see on www.aromatech.com, there are loads of diffusers and things like that which help make your room smell nice at all times. Another good idea is to light some scented candles. Not only will that help your room smell more romantic, but it also helps with the aforementioned mood lighting. Either way, the way your room smells is so important, and you can’t afford to neglect it! The first two steps will go a long way to setting the right atmosphere and tone in your room. However, this is all pointless if your room doesn’t look nice and tidy. Nobody wants to go through an obstacle course as they tiptoe their way around your messy room. Not only that, but a mess is unattractive. It makes you look like you don’t care about your room and that you’re just constantly living in filth and mess. So, tidy everything up and keep your room clean and spacious. This will bring the entire room together and properly create the romantic setting you’re looking for. The fact of the matter is, sometimes you need your room to feel a bit romantic. Setting the right mood will help a lot in your romantic endeavors. Pay attention to the three steps above if you want to know how to create the perfect romantic atmosphere.